A project created by the Kid Scoop creative team for the United States Golf Association Museum won a 2018 ISHY for excellence in educational programming. The ISHY Awards program was established by the International Sports Heritage Association (ISHA) to provide recognition for excellence in publications by all member sports museums, halls of fame or sports heritage organizations. 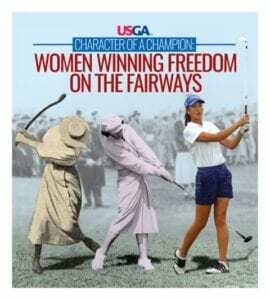 Kid Scoop’s creative team was commissioned by the United States Golf Association Museum to create “Women Winning Freedom on the Fairways,” a student publication and teacher guide on the history of women in golf. These materials were produced in conjunction with the Museum’s 2017 exhibit “Breaking New Ground: Women and Golf Course Architecture,” and tells stories of women playing leading roles in golf throughout history. Kid Scoop, a CNPA Allied Member, is a weekly syndicated newspaper feature that appears in nearly 300 newspapers in North America. It is produced by the Sonoma, CA based company, Impact Creative Services, LLC. Learn more at kidscoop.com.